67 cubic miles of ash (1.3 million million years ago). 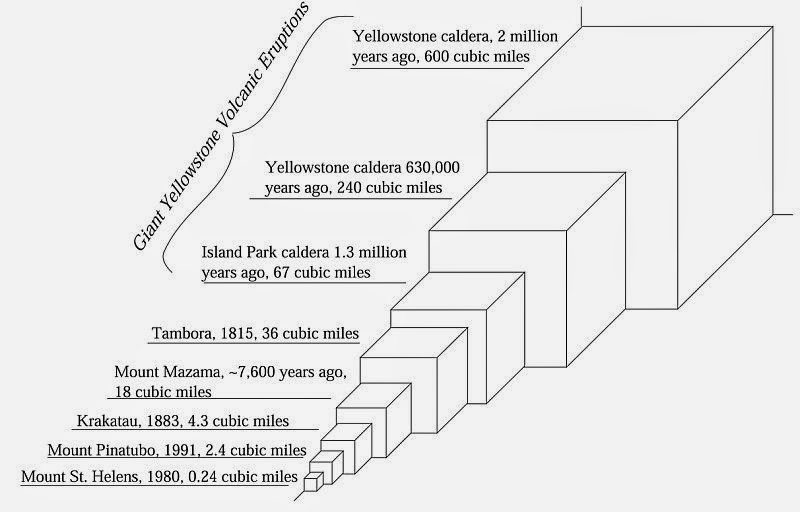 A volcano that ejects a volume greater than 240 cubic miles is a supervolcano. "The lava floods and intriguing volcanoes tell us of the plasticity, mobility, of the deep interior of the globe." Conditions for supervolcanoes arise when magma in a hotspot rises from the mantle into the crust but is constrained by the crust, thus allowing great pressure to build. As the magma pool grows, eventually the crust is unable to contain the pressure causing a massive explosion (e.g., Yellowstone Caldera). Supervolcanoes can also form at converging plate boundaries (e.g., Lake Toba). "Our solid earth, apparently so stable, inert, and finished, is changing, mobile, and still evolving." The USGS has studied a hypothetical Yellowstone supereruption using a model called Ash3D. Ash3D uses historical wind velocity data and estimated eruption volume to calculate the distribution and thickness of ash fall. A distribution of ash from a hypothetical month-long Yellowstone supereruption (shown above) was modeled using January 2001 wind data. Our Mobile Earth, Reginald Aldworth Daly, 1926. 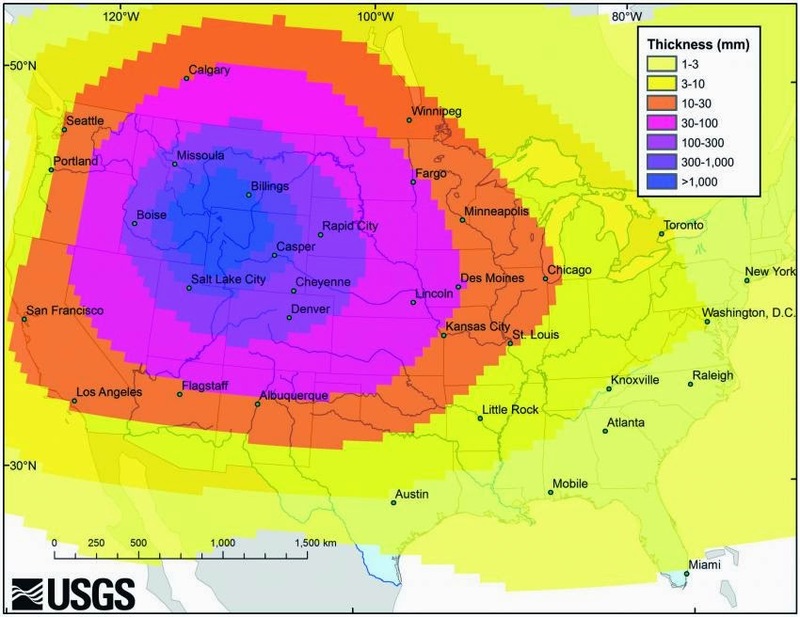 Yellowstone supereruption would send ash across North America, Phys.org, 27 Aug 27 2014.